The Valeria Collection of chairs, armchairs and stools is known for its durability and strength provided by the solid oak frame. The exquisitely woven bands are a subtle blend of traditional and modern. The design is also available in a Comfort version that is fully upholstered and stackable chair version. The Valerie is the ideal piece for both contract and residential spaces requiring a warm, serene presence. 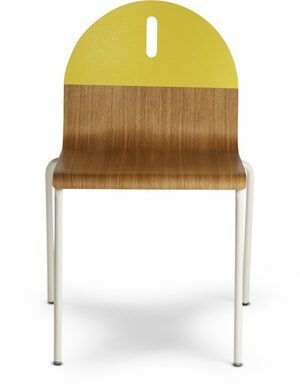 Stackable chair with upholstered seat and backrest and solid oak wood frame. The wood lacquer color options (White, Red, Black, Sand, Basalt Grey, Cayenne Red, Dark Grey, Yellow Mustard) are only available in a matte finish.